My husband, daughter, baby on the way, and I live in the Athlete’s Village Housing Co-op in the Olympic Village. I love growing and eating good food, getting outside, and being silly with my family. After having my daughter, I was inspired to start Vancouver SOUP – a new crowdfunding dinner supporting people making positive change in Vancouver. Because I’m trained as a sustainable fisheries researcher, this has been an exciting new adventure for me. I’ve met countless driven, positive, and creative people who take action. I hope Vancouver SOUP can be a celebration of those people and a place for us all to connect and make our fine city and even sweeter. Join Kerrie for the next Vancouver SOUP crowdfunding dinner on November 19th. You can’t get more local than this produce! Absolutely the BEST strawberries you’ll ever taste, grown right in vacant lots around our city by folks with barriers to employment. 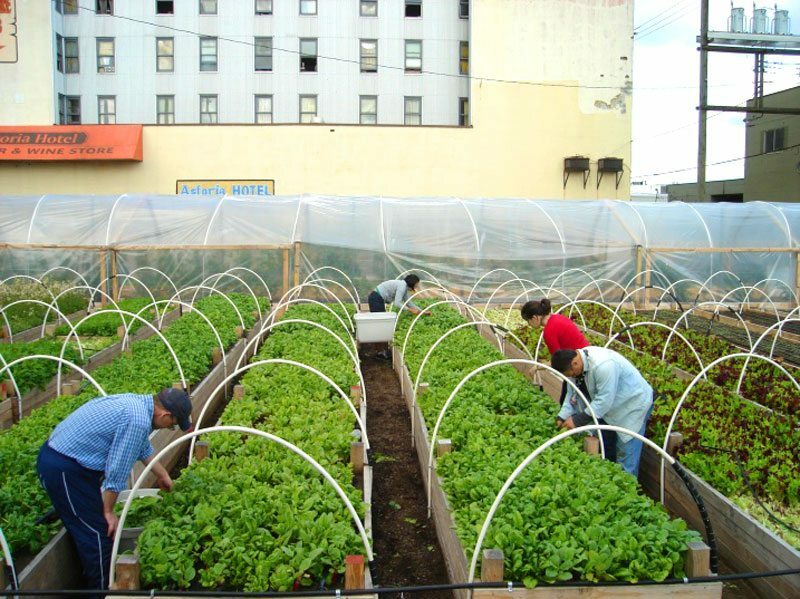 Check them out at the farmers markets or sign up for a share of the harvest through their community-supported agriculture program. Warm and cozy date night spot with just the right amount of rustic wild (they have taxidermy animals on the walls). Tasty comfort food and perfect cocktails. The virgin Mammie Taylor is this pregnant momma’s fave. Get all your household soaps, oils, vinegars, and much more refilled, generating less waste. We buy oodles of Nellie’s Laundry Soda here on the cheap to keep us shiny and clean. Let your kids soak in the music you make as a group in a relaxed, multi-age setting. There’s plenty of research behind their methods, but it all just feels like fun. Funky and family friendly breakfast joint that we frequent. Our favourite waitress, Meghan, knows our ‘usual’ order! Get there before 9:30 on the weekend to beat the crowd. Connect with Kerrie and Vancouver SOUP on their website, Facebook and Twitter. Find more great places for moms just like you. Download JellyBeen, the social mobile app to find the best places to shop, eat and play with kids. 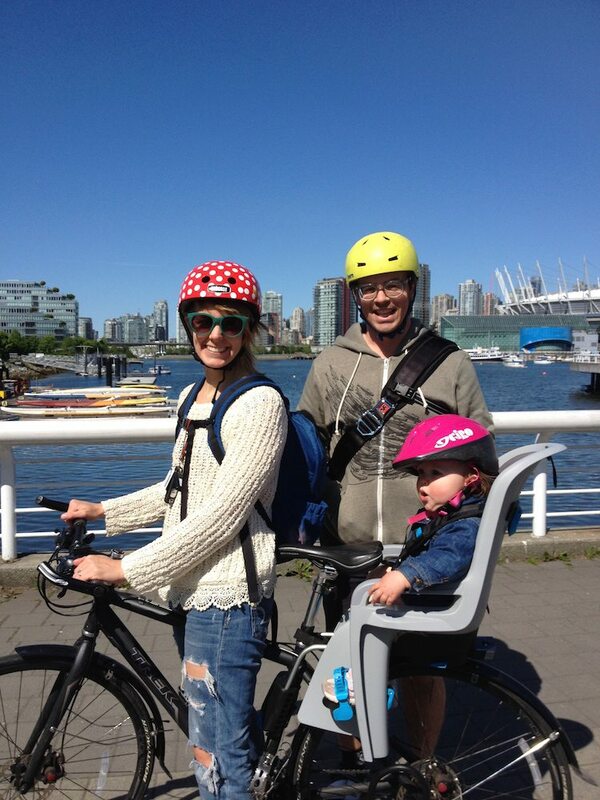 Erin McGann is the former Managing Editor for Vancouver Mom and Toronto Mom Now. She drinks just a bit too much coffee, is a bit obsessed about sourcing local food, plays the cello moderately well, spends too much time on Twitter, keeps honeybees on a rooftop, and has a thing for single-malt whisky. Erin is working on a novel set in turn-of-the-century Vancouver, which her husband, son and dog have to hear about all the time, and also blogs at Erin at Large.